L.A. Zoo Presents PBS SoCal Kids Weekend! 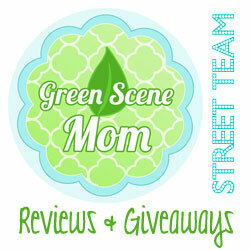 You are here: Home / SoCal City Kids News / L.A. Zoo Presents PBS SoCal Kids Weekend! CURIOUS GEORGE AND NATURE CAT. The L.A. Zoo hosts PBS SoCal KIDS Weekend at the Los Angeles Zoo on Saturday, March 10, and Sunday, March 11, 2018, 10 a.m. to 4 p.m. The event fills the Zoo’s Eucalyptus Grove with a variety of engaging fun for families with book readings, themed crafts, activities and a kids’ dance party. Guest can also enjoy a special opportunity to take photos with PBS KIDS’ characters Curious George and Nature Cat. 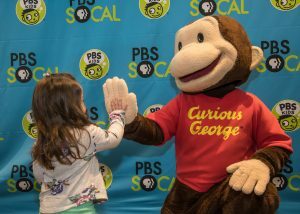 Curious George is available for photos both days from 10:15 to 12:45 p.m.Nature Cat is available both days from 1:15 to 3:45 p.m.
Saturday, March 10 and Sunday, March 11, 2018 10 a.m. to 4 p.m.
All PBS SoCal KIDS Weekend activities are free with paid Zoo admission, which is $21 for general admission (ages 13 to 61); $18 for seniors (ages 62+), and $16 for children (ages 2 to 12). No ticket is required for children under age two. Admission for Greater Los Angeles Zoo Association members is free. Credit: L.A. Zoo/PBS SOCAL. Photo Credit: Jamie Pham. PBS SoCal is the home to PBS for Greater Los Angeles and Southern California. PBS SoCal delivers the full schedule of PBS programs, plus content that is for, about and by the people of Southern California.Content is available free through four broadcast channels, atpbssocal.org, on PBS mobile apps, and via connected TV services. We provide the community with early education resources and cultural and educational experiences through partnerships, events and grassroots outreach. PBS SoCal has offices in Century City, Costa Mesa, and Los Angeles.Connect at pbssocal.org and on Facebook, Twitter, Instagram and Snapchat.